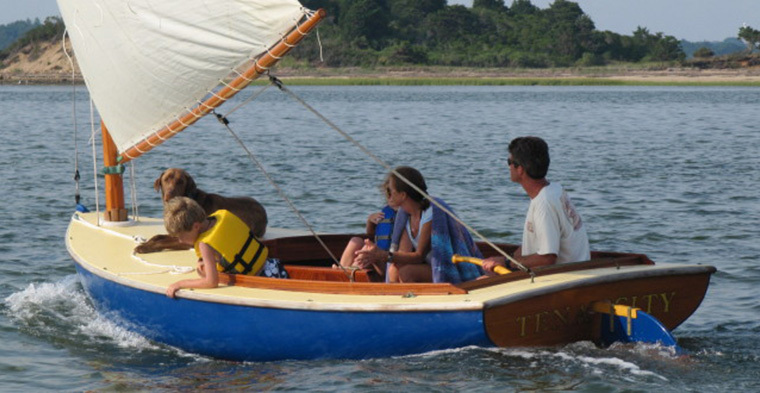 The Classic Cat is a 14 foot gaff rigged catboat whose lineage can be traced back to any number of small catboats that sailed the waters of New England in the last century. 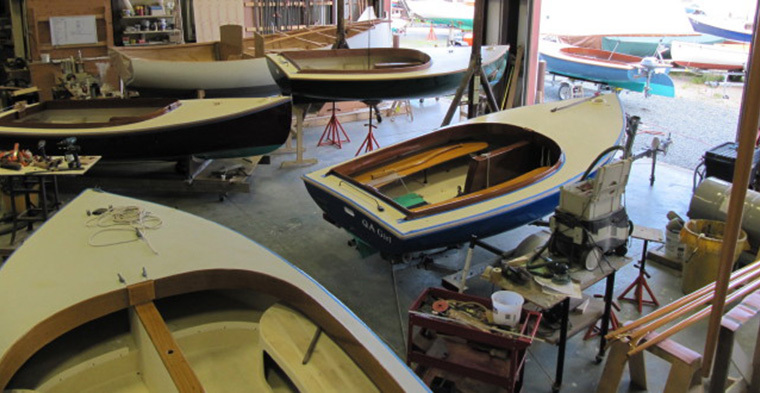 Over the years, we have made some concessions to modern boat building materials that have added to the value and attractiveness of the boat while making seasonal maintenance more manageable for the owner. The overall appearance is traditional but efficient. 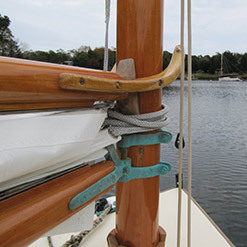 The wooden spars round out a beautiful, functional package that is a joy to sail either single handed or in pleasant company. 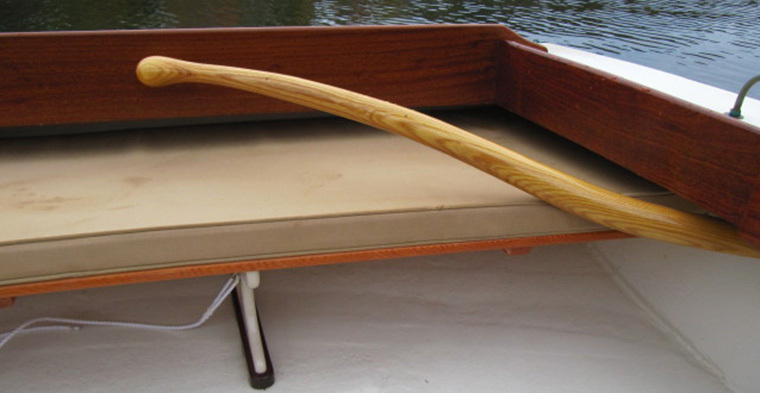 The hollow rig is very light and the 35-40lb mast is easily stepped by the owner. 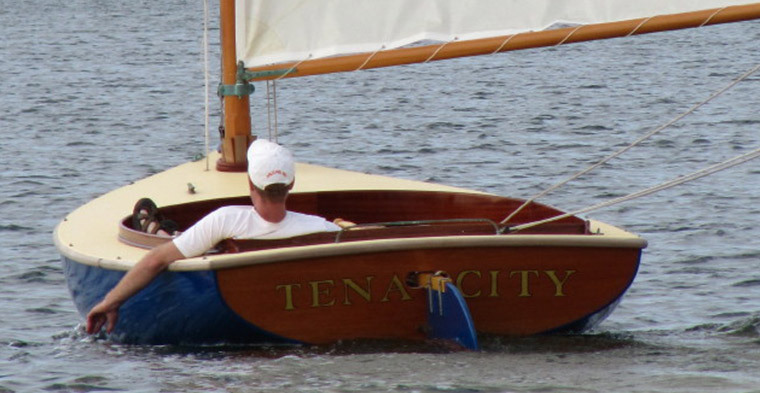 We are currently working on a tabernacle version for those sailors who would be interested in trailering their boats to new waters. 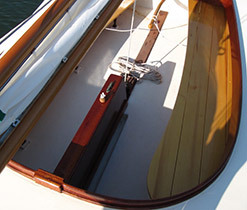 The Classic Cat's large open cockpit with its comfortable bench seats can accommodate four or more adults. 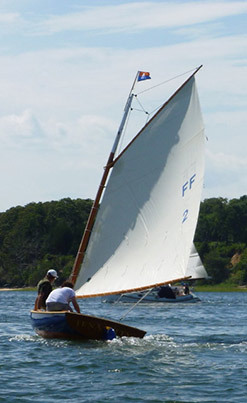 The classic beam (half the overall length) and the single gaff rigged sail ensure a stable ride that is both forgiving and challenging according to the skipper's ability or enthusiasm of the moment. 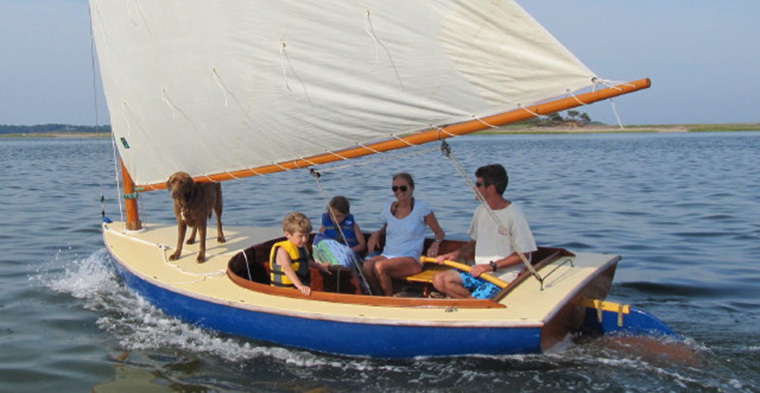 The Classic Cat is ever-changing from kid-friendly to race-ready; from laid back picnic transportation to a reef down in a stiff wind. 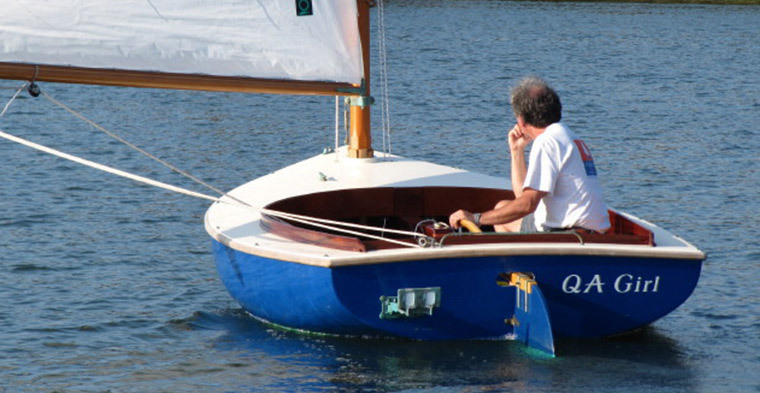 The versatility of a catboat design is well documented in Stan Grayson's The Cape Cod Catboat and John Leaven's The Catboat Book, both a must read for anyone looking to understand this boat's true characteristics. 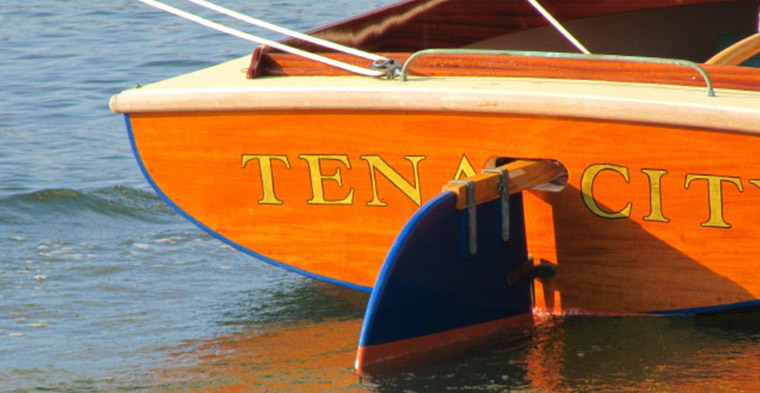 We are particularly fond of the design and performance of our Classic Cat.